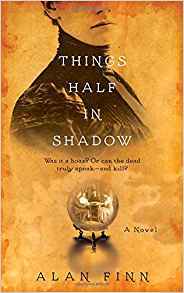 Things Half in Shadow by Alan Finn. Postbellum America makes for a haunting backdrop in this historical and supernatural tale of moonlit cemeteries, masked balls, cunning mediums, and terrifying secrets waiting to be unearthed by an intrepid crime reporter. Edward Clark is a successful young crime reporter in comfortable circumstances with a lovely, well-connected fiancée. Then an assignment to write a series of exposés on the city’s mediums places all that in jeopardy. In the Philadelphia of 1869, photographs of Civil War dead adorn dim sitting rooms, and grieving families attempt to contact their lost loved ones. Edward’s investigation of the beautiful young medium Lucy Collins has unintended consequences, however. He uncovers her tricks, but realizes to his dismay that Lucy is more talented at blackmail than she is at a medium’s sleights of hand. And since Edward has a hidden past, he reluctantly agrees that they should collaborate in exposing only her rivals. I am not into reading about the supernatural but the amazon review read like there were many small mysteries (finding out about the characters), that I got a used copy. The books surprised me in that I found myself wanting to read each time I sat down. (that hasn't happened in a while). Short chapters always help. In fact the absolutely make me read "just a little more" before setting the book down. So, you read through some séance's, and learn the old tricks that used to be used to fool people. (noises happening, things moving). But by the end of the book you have a little "hope' that maybe it could be done...for real! This book was a very enjoyable read for any who enjoy the supernatural and murder mysteries ! It was a very good mixture of them both. Cover of Snow by Jenny Milchman. Waking up one wintry morning in her old farmhouse nestled in the Adirondack Mountains of New York, Nora Hamilton instantly knows that something is wrong. When her fog of sleep clears, she finds her world is suddenly, irretrievably shattered: Her husband, Brendan, has committed suicide. The first few hours following Nora’s devastating discovery pass for her in a blur of numbness and disbelief. Then, a disturbing awareness slowly settles in: Brendan left no note and gave no indication that he was contemplating taking his own life. Why would a rock-solid police officer with unwavering affection for his wife, job, and quaint hometown suddenly choose to end it all? Having spent a lifetime avoiding hard truths, Nora must now start facing them. Unraveling her late husband’s final days, Nora searches for an explanation—but finds a bewildering resistance from Brendan’s best friend and partner, his fellow police officers, and his brittle mother. It quickly becomes clear to Nora that she is asking questions no one wants to answer. For beneath the soft cover of snow lies a powerful conspiracy that will stop at nothing to keep its presence unknown . . . and its darkest secrets hidden. This was a good little mystery. No major detective solving the "crime" but the wife of the victim herself. Although there is murder involved, this was a nice break from the normal detectives. This was a good book with background being told a little at a time. Quite a few surprising things happen along the way of her trying to find out why her husband committed suicide. Obviously things are not always as they seem. But asking question can be a dangerous business. 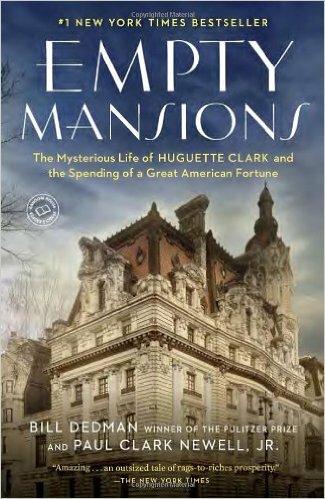 Empty Mansions by Bill Dedmand and Paul Clark Newell Jr.
#1 NEW YORK TIMES BESTSELLER * UPDATED TEXT WITH RESULTS OF THE CLARK ESTATE SETTLEMENT * NAMED ONE OF THE BEST BOOKS OF THE YEAR BY Janet Maslin, The New York Times * Look for special features inside. Join the Random House Reader's Circle for author chats and more. * When Pulitzer Prize-winning journalist Bill Dedman noticed in 2009 a grand home for sale, unoccupied for nearly sixty years, he stumbled through a surprising portal into American history. Empty Mansions is a rich mystery of wealth and loss, connecting the Gilded Age opulence of the nineteenth century with a twenty-first-century battle over a $300 million inheritance. At its heart is a reclusive heiress named Huguette Clark, a woman so secretive that, at the time of her death at age 104, no new photograph of her had been seen in decades. Though she owned palatial homes in California, New York, and Connecticut, why had she lived for twenty years in a simple hospital room, despite being in excellent health? Why were her valuables being sold off? Was she in control of her fortune, or controlled by those managing her money? Dedman has collaborated with Huguette Clark's cousin, Paul Clark Newell, Jr., one of the few relatives to have frequent conversations with her. Dedman and Newell tell a fairy tale in reverse: the bright, talented daughter, born into a family of extreme wealth and privilege, who secrets herself away from the outside world. Huguette was the daughter of self-made copper industrialist W. A. Clark, nearly as rich as Rockefeller in his day, a controversial senator, railroad builder, and founder of Las Vegas. She grew up in the largest house in New York City, a remarkable dwelling with 121 rooms for a family of four. She owned paintings by Degas and Renoir, a world-renowned Stradivarius violin, a vast collection of antique dolls. But wanting more than treasures, she devoted her wealth to buying gifts for friends and strangers alike, to quietly pursuing her own work as an artist, and to guarding the privacy she valued above all else. The Clark family story spans nearly all of American history in three generations, from a log cabin in Pennsylvania to mining camps in the Montana gold rush, from backdoor politics in Washington to a distress call from an elegant Fifth Avenue apartment. The same Huguette who was touched by the terror attacks of 9/11 held a ticket nine decades earlier for a first-class stateroom on the second voyage of the Titanic. Empty Mansions reveals a complex portrait of the mysterious Huguette and her intimate circle. We meet her extravagant father, her publicity-shy mother, her star-crossed sister, her French boyfriend, her nurse who received more than $30 million in gifts, and the relatives fighting to inherit Huguette's copper fortune. Richly illustrated with more than seventy photographs, Empty Mansions is an enthralling story of an eccentric of the highest order, a last jewel of the Gilded Age who lived life on her own terms. I have been poor all my life... you wouldn't think I would enjoy a book about someone who had so much money it no longer mattered because she would never run out of it. But Bill Dedman and a relative of Huguette Clark, Paul Clark Newell Jr.. managed to make this book very interesting indeed. They wrote of Huguette's father who accumulated the fortune, their family life, and the last of the family, Huguette and her life, eccentricities, charities and gifts of goodness the likes, I am sure have never been seen before or since or never will. It helps that the beginning of the book grabbed my curiosity: When Pulitzer Prize-winning journalist Bill Dedman noticed in 2009 a grand home for sale, unoccupied for nearly sixty years, he stumbled through a surprising portal into American history. Empty Mansions is a rich mystery of wealth and loss, connecting the Gilded Age opulence of the nineteenth century with a twenty-first-century battle over a $300 million inheritance. These people were richer then many names we all know. Carnegie, Ford, and Rockefeller to name a few. Yet W.A. Clark nor his daughter Huguette I had never heard of. Huguette Marcelle Clark ( June 9, 1906 – May 24, 2011) was an heiress and philanthropist, who became well known again late in life as a recluse, living in a hospital for more than 20 years while her mansions remained empty. She was the youngest daughter of United States Senator and industrialist William A. Clark. Upon her death at 104 in 2011, Clark left behind a fortune of more than $300 million, most of which was donated to charity after a court fight with her distant relatives. A feature film of her life is planned, based on the bestselling book Empty Mansions: The Mysterious Life of Huguette Clark and the Spending of a Great American Fortune. Jackie After Jack by Christopher Anderson. In this much-anticipated sequel to his 1996 bestseller, Jack and Jackie, Christopher Andersen is certain to make headlines once again with his revealing account of Jacqueline Kennedy Onassis's life after Jack Kennedy's death. Incredibly, Jackie Kennedy was only thirty-four when JFK was assassinated. With her husband, she had already captured the world's imagination. Without him, she would hold it until her own death three decades later--achieving a kind of global fame unsurpassed in this century. Billions of words have been written about her, but Jackie guarded her privacy so fiercely that the last thirty years of her life are still veiled in secrecy and mystique. For the first time, drawing on previously sealed archival material and newly declassified government documents--as well as important sources who have agreed to speak here for the first time--Jackie After Jack paints a sympathetic yet often startling portrait of Jackie in all her rich complexity. Alone after Dallas, Jackie summoned the strength, grace, and dignity to go on. 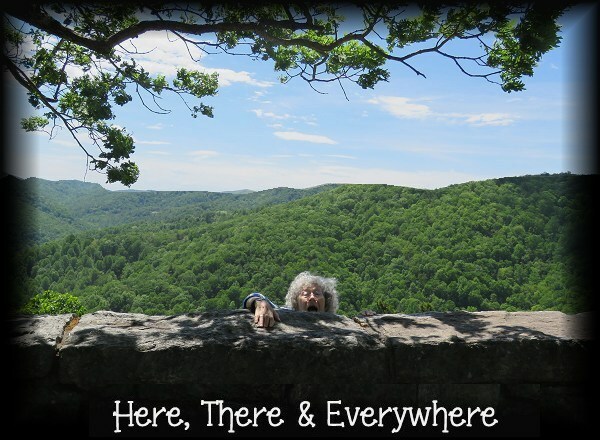 Along the way, she struggled with those all-too-familiar issues of remarriage, in-laws, money, romance, children, stepchildren, grandchildren, aging, illness, and finally, her own mortality. Jackie After Jack traces this remarkable woman's personal journey--and captures the drama, humor, glamour, and heartache that have made Jackie an enduring source of fascination and inspiration for millions. Raise the flags I finally finished a book! I have to say that the reason for my dropping off the reading radar is NOT because I wasn't enjoying this book because I was! 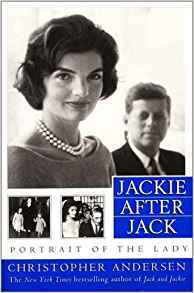 I found the author, Christopher Andersen, and excellent writer and he kept me engrossed in the telling of Jackie's life after JFK was assassinated. As always with "historical" people, there is much you are aware of and much you are not. This was an excellent representation of Jackie's feelings about her life. She was beautiful to many. Highly intelligent. And her life was certainly not all glorious . So money really cannot buy "everything". It's a good read for anyone interested in what her life was like after Jack. I am glad I read it.